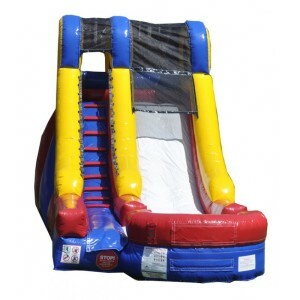 Water slide Rentals are one of the most popular items all summer long. 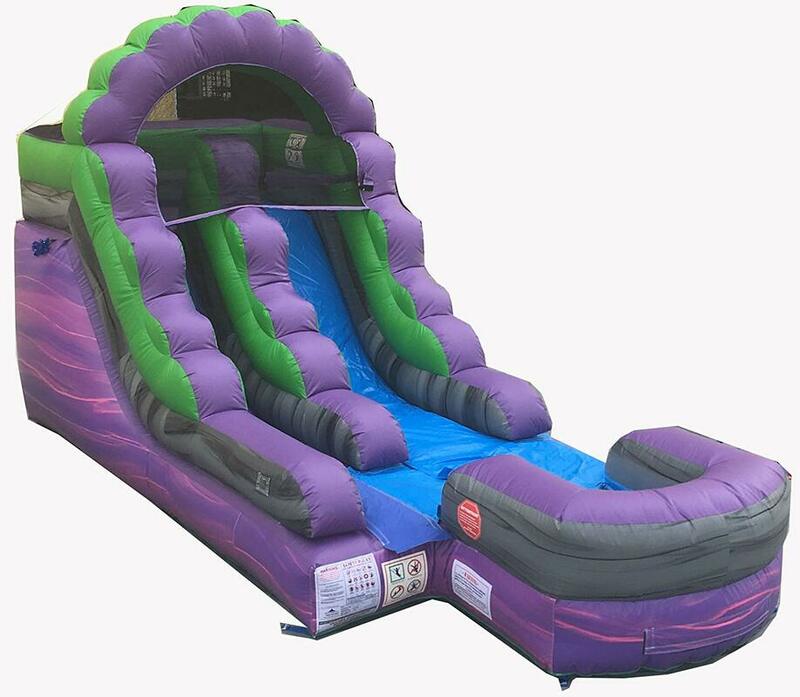 Kids and Parents will have a blast sliding down the waterslide into a pool of cool water. 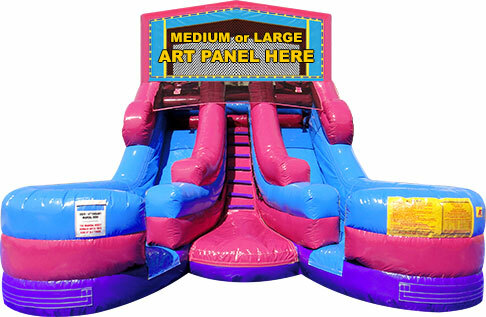 With three different size slides we are sure to have one to accommodate your party. The Green Splash Waterslide is recommended for parties with mostly younger kids. 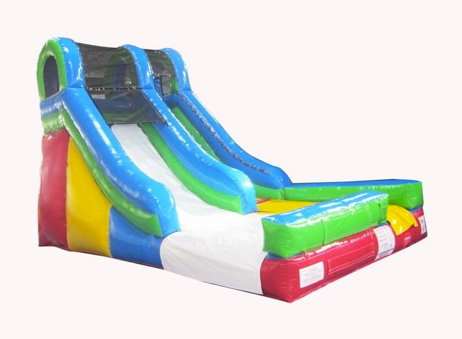 The large Patriotic Splash is good for both younger kids and older. 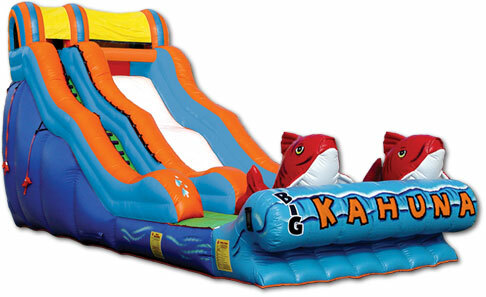 The most popular waterslide and one of the largest available for rent is The Big Kahuna waterslide. 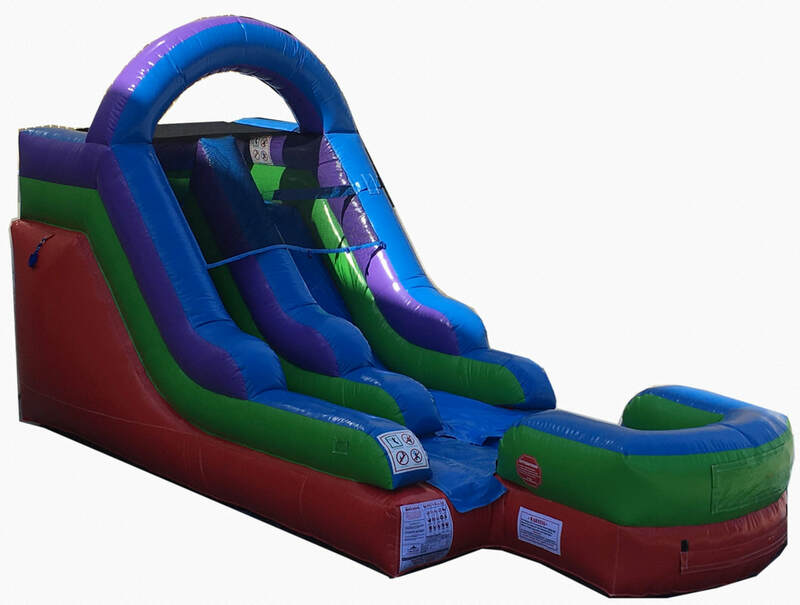 It is great for graduation parties and older kid birthdays, the adults will also have a blast going down this gigantic slide! It is also suitable for younger kids as well. 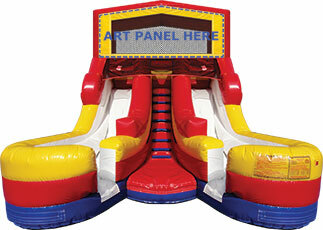 Also check out our combo bounce house rental page for those kids that want a bounce house and a waterslide. 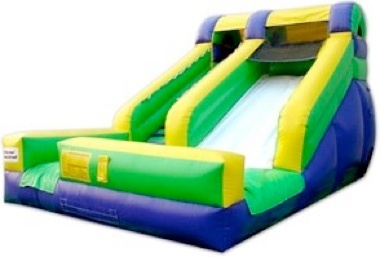 Whether its a graduation party, birthday party or bbq a waterslide rental makes a great addition to any party. 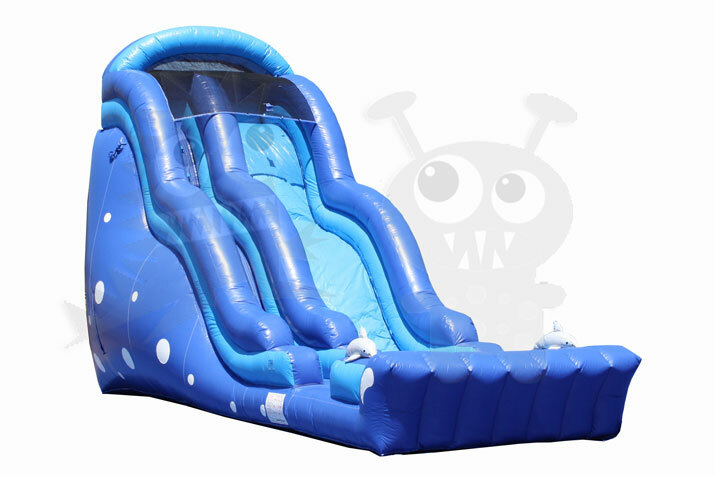 An electrical outlet and water source is needed within 100 feet of the slide as well as a hose.